Lakewood, CO, March 19, 2013 – The Care Navigator offers solutions for family caregivers living in Denver Colorado and the Colorado Front Range. Approximately fifty percent of older adults living past the age of 85 experience some type of memory loss; many have a diagnosis of dementia, Alzheimer ’s disease or moderate cognitive impairment. The broad category of memory loss, often called dementia, is largely undiagnosed in the aging population. Many older adults live alone with infrequent visitors or in situations where a family caregiver may notice behavioral signs but are unaware that these signs indicate memory loss in an aging parent. Early signs of memory loss include loss of executive function, reminder notes, missed appointments, household clutter, hoarding, forgotten social engagements and isolation. Aging parents and loved ones with memory loss often hide the impairment from caregivers by using humor or relating the forgetfulness to normal aging or being absent-minded. Early diagnosis of memory loss is critically important to allow future planning for aging parents or individuals without children to ensure that care will be provided and wishes fulfilled. 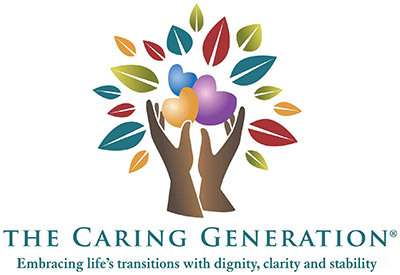 The Care Navigator provides support for individuals with memory loss by serving as financial and medical power of attorney, personal representative of the estate and case manager because family caregivers feel uncomfortable or unable to fulfill these roles. Pamela Wilson, President of The Care Navigator, “Family caregivers after receiving a diagnosis of memory loss for an aging parent or loved one look back and recognize that signs of memory loss occurred years ago. At the time the early signs of Alzheimer ’s disease were noticed, caregivers didn’t associate them with memory loss but thought the signs to be normal aging.” Short videos offering information and support about caregiving subject matter are available for family caregivers. For more information visit www.thecarenavigator.com a contact page is on our website or you may reach us at 303-205-7877.